Nisi Shawl’s Belgian Congo steampunk novel Everfair is out from Tor as of September 2016. Her story collection Filter House co-won the James Tiptree, Jr. Award in 2009. She has been Guest of Honor for feminist science fiction convention WisCon in 2011 and the Science Fiction Research Association in 2013, and a guest speaker at several colleges and universities, including Duke, Spelman, Princeton, and Stanford. Shawl writes reviews of science fiction for The Seattle Times, and she edits and writes them for the feminist literary quarterly Cascadia Subduction Zone. She is coauthor of Writing the Other: A Practical Approach, based on workshops on inclusion and diversity she’s taught for two decades, in person and online. 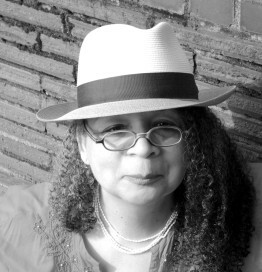 She’s also co-editor of Stories for Chip: A Tribute to Samuel R. Delany and Strange Matings: Science Fiction, Feminism, African American Voices, and Octavia E. Butler. She promises to update her website soon.